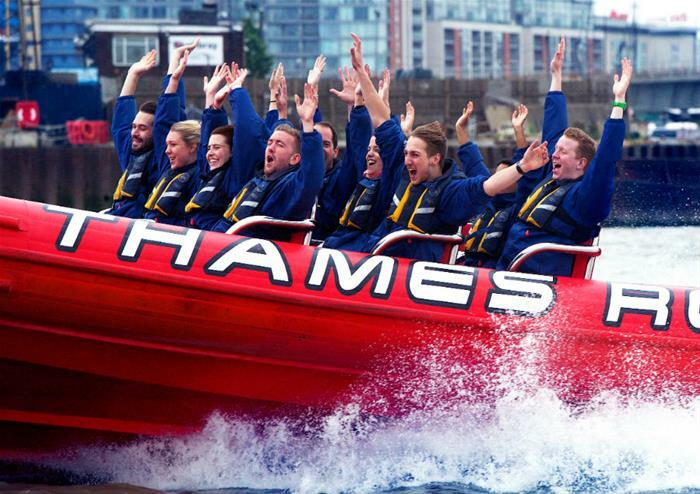 This Thames high speed boat trip is wild, fantastic fun for all ages, an extravaganza not to be forgotten and voted by Time Out readers as a ‘must do’ experience for Londoners and visitors alike. 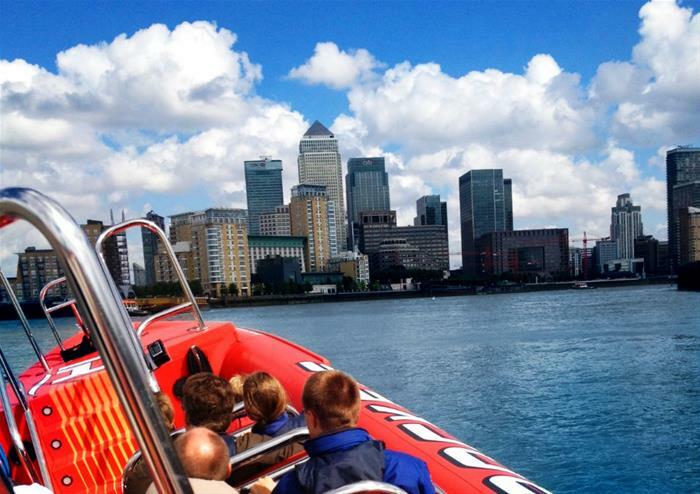 Speed through London at up to 35 knots as the River Thames is eaten up by 400hp of engine power. Zoom under the capital’s famous bridges and marvel at London’s landmarks from your exclusive vantage point. 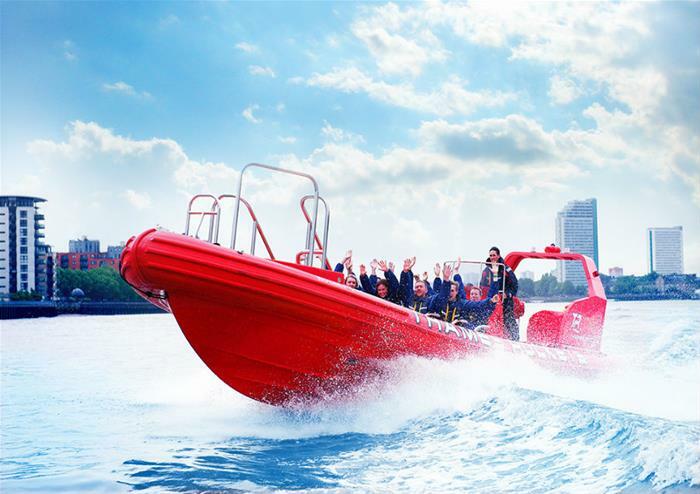 Music classics such as the Dam Busters, Colonel Bogey and many more are piped through the on board speakers as you power on through the capital and out towards the Docklands. 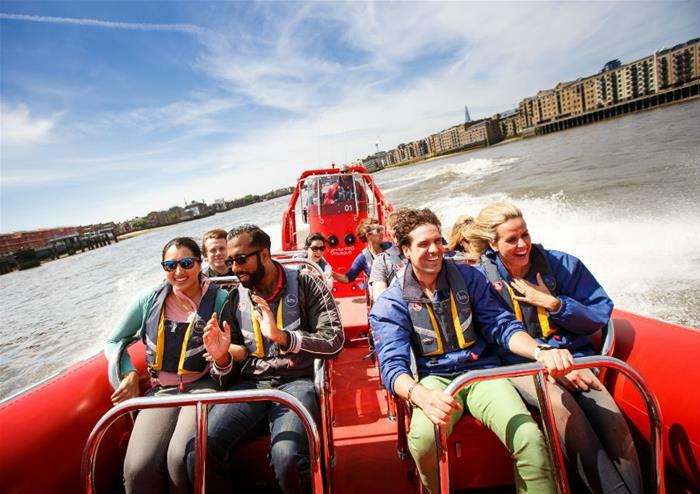 Award winning comedian guides ensure sparkling highbrow banter as you 'pull G' past famous landmarks, hold on tight for an exhilarating trip to Canary Wharf and back mission accomplished on this exhilarating Thames boat trip. 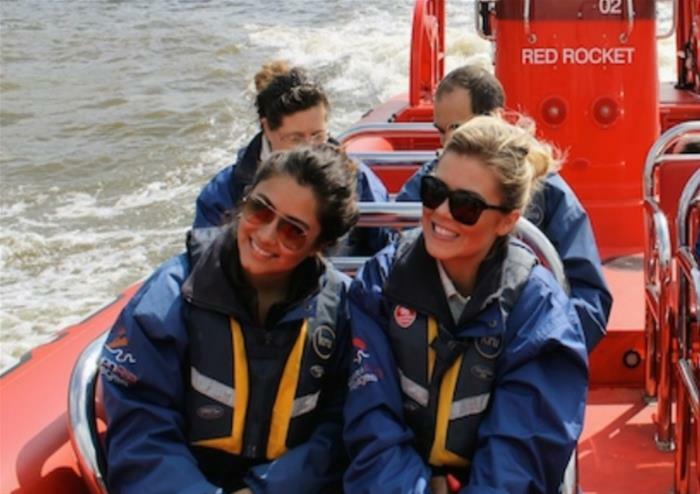 This trip departs hourly from the London Eye Pier, 7 days a week, all year round. It is suitable for all ages from 4 to 104. 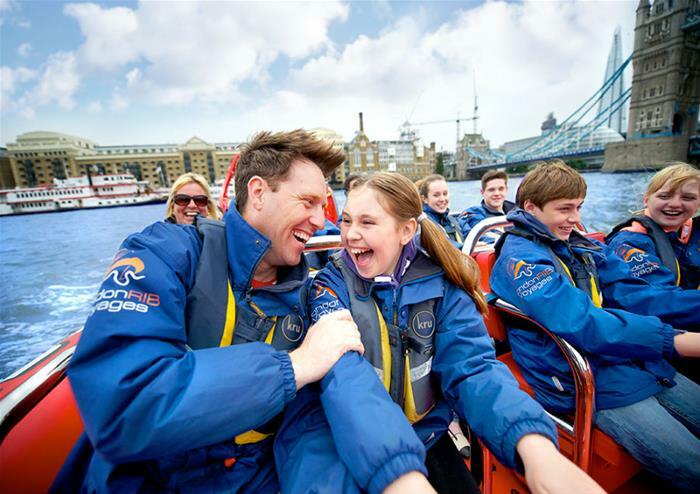 This ultimate sightseeing adventure and is great whatever the weather, wet weather kit can be provided for all ages and sizes. Suitable clothing must be worn bearing in mind it is usually cooler on the river compared with the shore. Sailing and wet weather gear will be provided.Life jackets must be worn at all times.Please note if life jackets are manually inflated and/or damaged with intent, as lead name on this booking you will be charged £50.00 per jacket. Please check with the staff if you have any pre-existing medical condition that may prevent travel. The supplier cannot accept any liability. Without exception, expectant mothers are not permitted onboard at any stage of their pregnancy. No food or beverages can be consumed on board. Please arrive at the boarding point at least 15 minutes before scheduled departure. Please note that a time slot needs to be pre-booked for this product.